In the Dublin constituency where there are four MEP seats up for grabs, 19 candidates have declared their candidacy ahead of elections on 24 May. These include former SDLP leader Mark Durkan, who is running for Fine Gael, incumbent Sinn Féin MEP Lynn Boylan and independent Senator Alice-Mary Higgins. Earlier today, Independents 4 Change TD Clare Daly announced her bid for a European seat in Dublin while her party colleague Mick Wallace TD announced his intention to run in the Ireland South constituency where there are five seats available and 23 candidates. Other contenders in this field include Fianna Fáil TD Billy Kelleher, Green Party Senator Grace O’Sullivan and sitting Fine Gael MEP Deirdre Clune. Candidates in the Midlands North-West constituency – where there are four seats up for grabs and 17 candidates – include former presidential candidate Peter Casey, incumbent MEP Luke ‘Ming’ Flanagan and Fine Gael’s Maria Walsh. 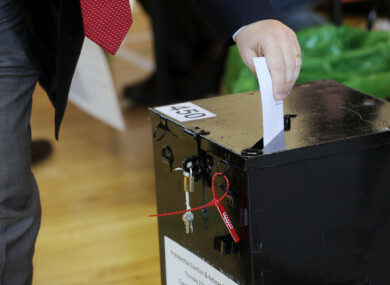 A total of 13 MEPs will be elected in Ireland when voters go to the polls in May. Email “59 candidates declare for European Parliament elections in May ”. Feedback on “59 candidates declare for European Parliament elections in May ”.